A- loves books. They’re usually a good way to calm her down from a tantrum, enjoy a pleasant afternoon, and get her all snuggled in and sleepy at bedtime. I don’t mind reading them again and again, since each read gives me an opportunity to learn more about writing, illustration, and even layout. It’s so much fun hearing the words and ideas from books bubble up in our everyday conversations. I’d like to learn more about best practices for reading with young kids, like dialogic reading. A- responds well to the comments I add pointing out feelings or relating things to her life, and she often asks about things when I leave plenty of space for her to jump in. A- doesn’t like feeling quizzed, though. When I pause to let her fill in blanks or I ask her questions, she protests, “I’m the baby.” By that, she means, “You’re the adult. Read it properly.” She knows the books and will sometimes “read” the whole thing to herself from memory, but sometimes she probably just wants to relax and listen. Sometimes she’ll play along if I give her a special word and ask her to point to it whenever it comes up, but that’s hit-or-miss. If she wants to play the game of correcting me, she’ll ask me to read the book upside down. I think I’ll focus on making space for her questions and letting her take the lead for now, instead of taking more of a teaching-ish approach. I can model questions by wondering out loud. We can just keep it really pleasant, and probably that will pave the way for phonics later on. It’s totally okay for her kindergarten teacher to do the heavy lifting of teaching her how to read. My job is to help her want to read. It might be nice to be more intentional about the books we get. Our neighbourhood library has a good selection, but there are all sorts of gems out there that we might not find just by pulling books off the shelf. I can thin the herd a bit by bringing some of our books to the Children’s Book Bank, so that her shelf isn’t so packed. Then it might be easier for her to find and pull out books she likes. A little thing: if I update the script I wrote to renew my library loans so that it works with the redesigned site, that could save me a bit of clicking. I can look for ways to perk myself up if I’m falling asleep reading during the afternoon slump. A- usually accepts it if I tell her that I need to move or do something different, and maybe a dance session could help us get our blood flowing. I can also drink water and eat a quick snack. I can invite her to read a book outside or explore the garden, especially as the weather warms up. Etoile – An emacs config using the straight package manager..
scale-to-fit: Automatically scale text to fit the current window width. rich-minority-mode rich-minority: Emacs package for hiding and/or highlighting the list of minor-modes in the mode-line. flucui-theme: A custom theme for Emacs, inspired by http://flatuicolors.com. Has both light and dark variants. O: ANN: `org-conflict` : Prevent scheduling conflicts in your Org agenda. The packages validates timestamps before you commit them. ox-pandoc: Convert Org-mode file to various to numerous formats via Pandoc. lsp-java: Emacs Java IDE using Eclipse JDT Language Server. 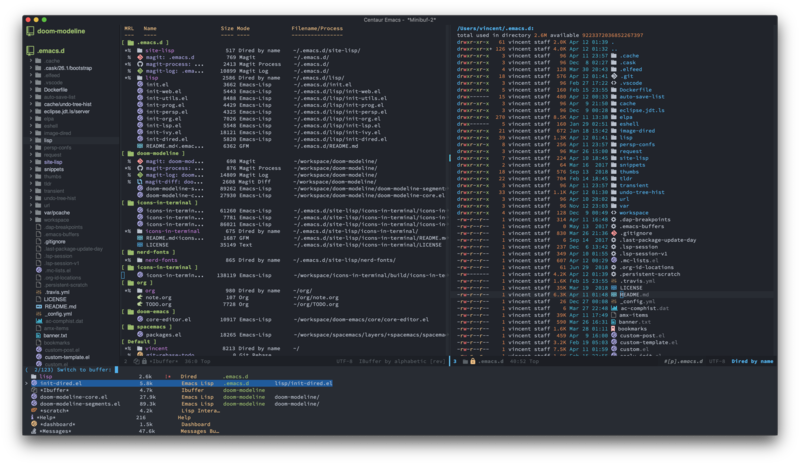 idee: Unified way to perform IDE-like tasks across multiple languages and frameworks in Emacs. vue: Spacemacs Layer for Vue, for working with .vue files. Meet Ali Abdulghani, A Blind Programmer Working In The Field Of Open Source. He uses Emacs as well. PSA: For new users, Emacs 26.1+ has the emacs daemon as a user systemd unit. I finally got around to setting up LetsEncrypt SSL certificates for my blog, Quantified Awesome, and planet.emacslife.com. I updated my ledger and added more balance assertions. I set up HTTPS for my little tracker, too. I decided to spend a little time playing Borderlands 2 with W- while I backed up my files. It was nice to just relax and have fun. I brought the prototype for Magic Books to the drop-in centre, and I sketched a few pages while A- played. I managed to put A- to bed by 10 pm, so W- and I watched Deadpool 2. A- wanted to go to the park, so I said that we could if she walked there instead of riding in the stroller. She made it! A- was really interested in climbing the structures at the playground. A- used her fingers and thumb to pinch the playdough out into a bowl shape. A-‘s been asking for a babysitter, so I booked one from the agency. Maybe I’ll be able to do some consulting, drawing, or organizing while A- practises being independent. A- felt comfortable switching over to the babysitter as soon as I set them up, and she played happily with the babysitter until I came back up from the basement 3.5 hours later. I heard them read lots of books, play music, and play with other toys. It was nice to get some focused work done. When I asked A- about plans for next week, she chose having a sitter at home over going to pretend school or playing with me, so I booked the same person for another day. We had maple-crusted porkloin and bok choy for dinner. Lots of tantrums. Maybe A- was releasing the tension from behaving properly with a stranger all afternoon. A- helped spot-clean her stuffed toy Sheep. A- insisted on returning the library books all by herself. She attacked the books on the floor, picked them up one at a time, and slid them through the return slot. A- helped me cut carrots for duck pot pie. I helped her use a serrated steak knife. A- checked out library books all by herself, too. A- sliced the zucchini with a butter knife. A- wanted to read a few books while Lola was on video chat. She also wanted to play sungka. A- established boundaries around her tower (she wanted to build it by herself). Later, she played together with another kid, even going with her back and forth across the room. After music class, we checked out a protest, went to the Allan Gardens conservatory and playground, and got books from the library and the Children’s Book Bank. A- liked spending time with AW from music class. What a full day!